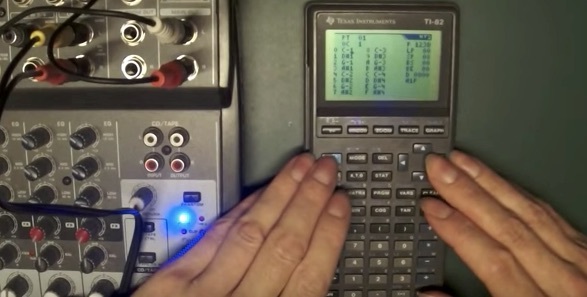 HoustonTracker2 is free software that turns your still-overpriced Texas Instruments graphing calculator into a synth. Demo above. Now, you will not only be the nerdiest kid in algebra class, but the coolest as well. HoustonTracker 2 is a music editor/sequencer for Texas Instruments graphing calculators. It outputs 1-bit sound through the calculator link port. HT2 features 4 voice polyphony, tons of effects, and a simple, tracker-style interface. "Before a finger leaves a key, the next key is already being pressed. She is making 9 keystrokes per second."